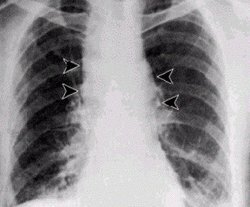 The word anthrax is derived from the Greek word anthrakis, which means "coal", and is used because victims develop black skin lesions. Anthrax infection is rare but not remarkably so in herbivores such as cattle, sheep, goats, camels, and antelopes. Anthrax can be found globally. It is more common in developing countries or continents without veterinary public health programs. Certain regions of the world (North America, Western and Northern Europe, and Australia) report less anthrax in animals than others. Anthrax comes in 89 known strains. The best known is the virulent Ames strain, used in the 2001 anthrax attacks in the United States. The Vollum (also incorrectly refered to as Vellum) strain, another one suitable for use as a biological weapon, was isolated in 1935 from a cow in Oxfordshire, UK, and used (specifically the Vollum 1B strain) during 1960s in the US and UK bioweapon programs; Iraq also attempted to acquire it during 1980s, together with Ames. Other strains are eg. Sterne (a benign form used for inoculations, named after a South African researcher), ANR-1, Î´Ames, A-3, RP4 and RP42. The strains differ in presence and activity of various genes, determining their virulence and production of antigens and toxins. See the list of strains. When anthrax affects humans, it is usually due to an occupational exposure to infected animals or their products (such as skin and meat). Workers who are exposed to dead animals and animal products from countries where anthrax is more common may become infected with B. anthracis, and anthrax in wild livestock has occurred in the United States. Although many such workers are routinely exposed to significant levels of anthrax spores, most are not sufficiently exposed to develop symptoms. Inhalation infection initially presents with cold or flu-like symptoms for several days, followed by severe (and often fatal) respiratory problems. If not treated soon after exposure, before symptoms appear, inhalation infection is the most deadly, with a nearly 100% mortality rate. 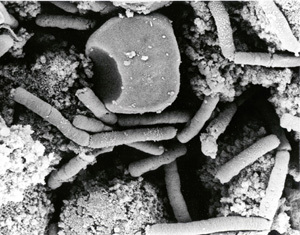 A lethal case of anthrax is reported to result from inhaling 10,000-20,000 spores. This form of the disease has also been known as Woolsorters' disease. Other routes have included the slicing up of animal horns for the manufacture of buttons, and handling bristles used for the manufacturing of brushes.